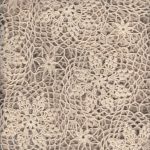 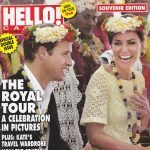 Elegance Kate -this “Royal” handmade Crochet Lace Tablecloth we name in honour of Duchess of Cambridge- as featured on Hello Magazine Cover page of the Royal Tour. 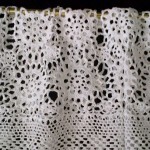 All products purchased from The Lace And Linens Co, can always be a creative DIY idea for multiple usage. 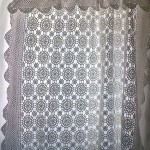 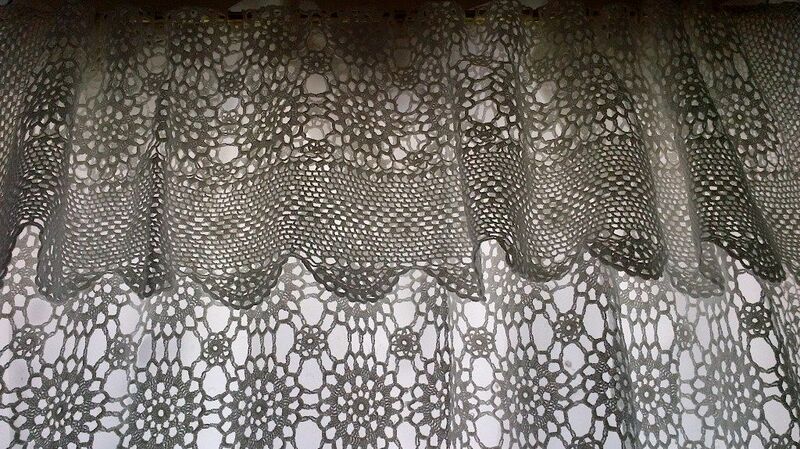 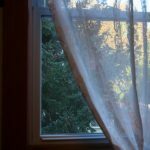 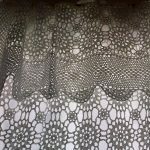 Here, a tablecloth becomes a lace curtain panel. 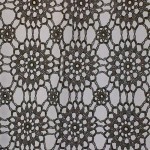 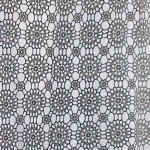 Close-up versions of the classic pattern : crocheted lace flower wheel. 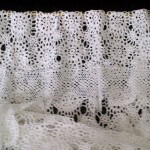 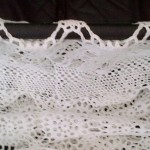 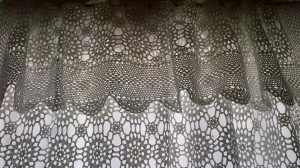 And how one end of the border edge can be folded over as a lace valance without sewing.